How can I convert movies and TV shows downloaded from iTunes from m4v to mp4?? Or can I even do that given they are copy protected? You may also have the above problem. Here the article would introduces you two powerful iTunes M4V Converters and guides you how to convert iTunes M4V to MP4. What is more, you will learn what is M4V format and the main differences of the two powerful M4V converters. What is M4V? Why we need to convert iTunes M4V to MP4? To answer the above question, first we need to know what is M4V? M4V is a file container format developed by Apple and is very close to MP4 format but protected with Apple's FairPlay DRM copyright policy. Apple puts the DRM protected M4V on its iTunes to encode movies, TV episodes, music videos, etc which means a M4V movie purchased or rented from iTunes Store is only allowed to be played on Apple devices because of Digital Rights Management. But if you want to put the DRM M4V videos on third-party players, you have to remove the DRM protection form the M4V movies firstly and then convert the movies to popular video formats, like MP4, MOV, AVI, etc. So, you may ask if there is any way to remove DRM from iTunes M4V and convert the M4V to MP4 video format. The answer is yes. This way is a little complicated. 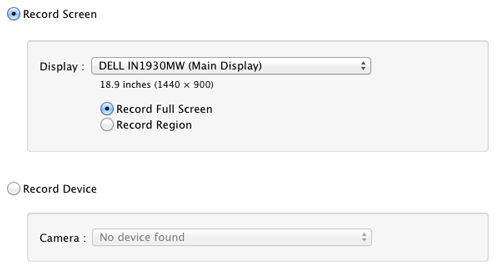 It allows you to record the screen activity of the M4V movie when you play it on iTunes or QuickTime. And after the M4V movie is recorded, you can convert the record to other video formats, such as MP4, AVI, etc or other non-Apple devices. Because the recording process and conversion process are separated, this method is a little bit time consuming and according to some tests, it only works for some protected M4V movies. Next, we will introduce you a time-saving and more efficient way to convert iTunes DRM M4V to MP4. This way is direct and easy. It is a specially designed DRM removal software to remove the DRM and convert the DRM M4V to MP4, MOV, AVI, FLV, etc video formats. Theoretically it also uses the recording method. But the video recording is invisible and the recording process is synchronous with the converting process. That means it removes the DRM protection while converting M4V to other formats, like MP4. This method is more professional and simple. You can download the trial version to have a test. NoteBurner M4V to MP4 Converter (For Mac & For Windows) , a professional iTunes M4V to MP4 video converter which can help you remove DRM protection and convert iTunes movies and TV shows losslessly to various video formats with 20X faster speed. 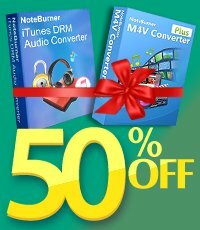 NoteBurner M4V Converter Plus can also enable you to keep iTunes rentals forever! 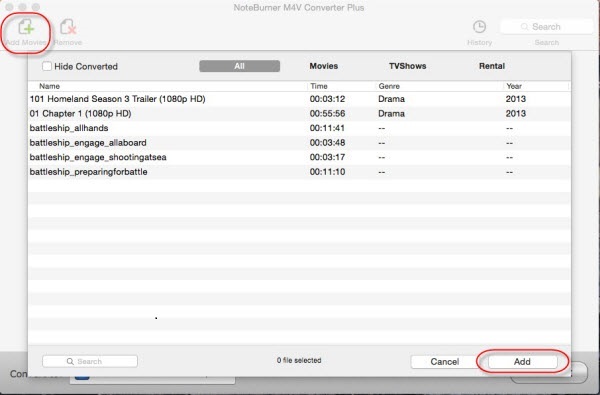 The following is a tutorial on how to convert purchased or rented iTunes movies/TV shows to mp4 using NoteBurner M4V to MP4 Converter for Mac. Please download the program on your Mac or Windows PC first before getting started. After you launch NoteBurner DRM M4V Converter, you can add M4V files to the conversion. There are two ways to import M4V into NoteBurner, you can directly drag M4V videos into the program or import them via the "Add Movies" button on the top left. Click on the Profile drop-down list on the bottom left of NoteBurner. You can choose "Same as source for mp4" or "Customized MP4" as output format. 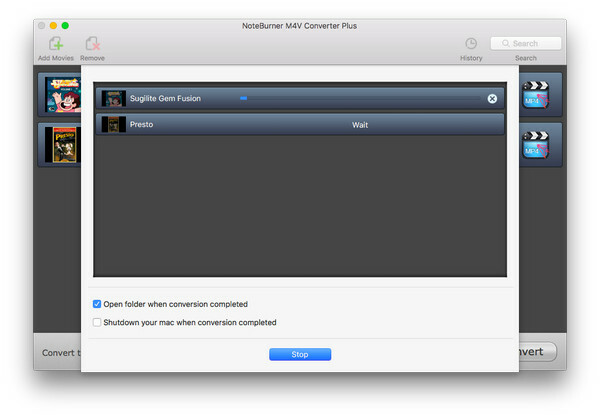 After the setting and editing, click on "Convert" button and begin to convert M4V videos to MP4 on your Mac. When the conversion finishes, you can enjoy the DRM free MP4 files on your Mac. What's next? Download NoteBurner iTunes M4V to MP4 Converter now! Looking for a user-friendly tool to convert Apple Music songs to MP3 for enjoying? NoteBurner iTunes DRM Audio Converter can perfectly help you to convert not only Apple Music, but also iTunes audiobooks, M4P music to MP3, WAV, FLAC, AAC format. 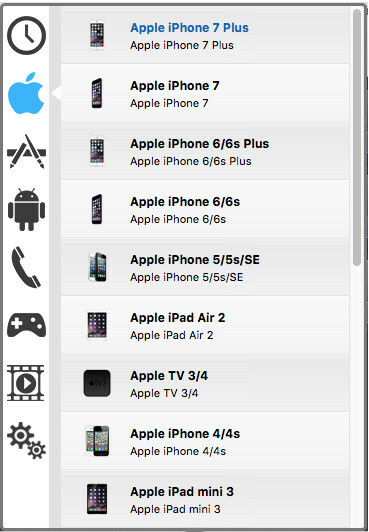 And with the leading-industry technology, it can convert Apple Music at super fast speed with zero loss quality.